We have been involved with Florida Beach Bar since 2011. 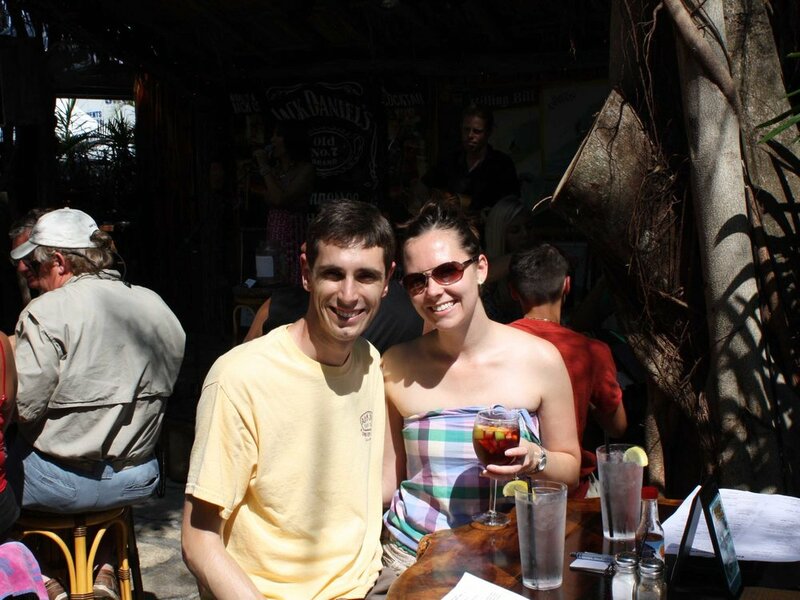 Having recently moved to Central Florida in 2006, we thought it would be fun to take a day trip out to the coast and just enjoy a drink on the beach. After a quick search, we stumbled upon FloridaBeachBar.com. Not only did we find a great beach bar to visit, we thought it would be fun to eventually visit all of the beach bars on the website. Our first stop was in early 2011 at Hula Bay and Duke’s Retired Surfers Club in Tampa. We contacted the owners of the website, John and Chris, and they loved the idea of us visiting all of the beach bars so much, they featured our journey on the website. It was an easy way for us to track our progress and have a friendly competition with some of our friends. Trying to cross beach bars off the list has been an excuse for us to get out of the house, take a break from the hectic pace of normal life, and see more of this beautiful sunshine state. We explored some unknown parts of Florida and some of our happiest times were driving to the middle of nowhere only to find a fabulous beach bar like Alabama Jack's. At Guanabana's, one of our favorites! Over the years, we became good friends with John and Chris and we created many great memories with them at various beach bars all over Florida. In 2015, they decided it was time to pass the Florida Beach Bar tiki torch on and we were honored they thought of us. Our plan is to continue to uphold their vision of being your top Florida Beach Bar resource. In addition, we are also going to add a little bit of our own personal touch. We want to build the same sense of community that you would find at your favorite beach bar. You will still have easy access to finding a beach bar in your area but we will be giving you an insider look and recommendations of our favorite beach bars, drinks and food and we will also be highlighting some dog-friendly and family-friendly places! We are looking forward to this next chapter of Florida Beach Bar and can't wait for you to join us.